There’s a reason Guy Clark felt confident in staying out of this one. When it comes to tribute albums, Tamara Saviano knows what she’s doing. The Grammy winning producer of 2004’s Beautiful Dreamer: The Songs of Stephen Foster, proves yet again that she’s a master of paying homage to one of America’s finest songwriters. Showing tremendous understanding of the subject at hand, Saviano has delivered a tour de force compilation that breathes new life into an epic body of work. Co-produced by Shawn Camp, This One’s For Him is the definitive collection of legendary artists re-examining some of this country’s most poignant standards. Though for decades, Clark has stood by the fact that his performances of his songs aren’t to be matched by anyone, even he was blown away by the album which made the perfect gift for the Nashville based, Texas native’s recent, 70th birthday. 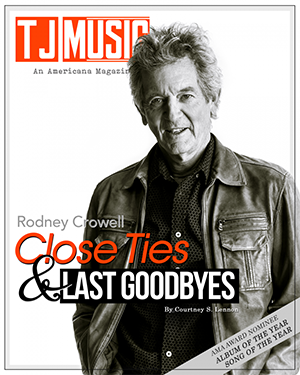 Of course, starting things off with Rodney Crowell’s take on “That Old Time Feeling,” was a good sign that this album would be the final word in Guy Clark covers. Not only is Crowell one of Clark’s most notable protégés, he is also his friend, co-writer, some-time producer, confidant and “cheerleader.” If there’s anyone alive today at liberty to start off a killer momentum for Clark, it’s Crowell, who led with the statement, “Let’s give her a go and make ol’ Guy proud of us.” Indeed they did. Following suit comes a roll call of top-tier artists that would surely be any Americana fan’s dream line up. 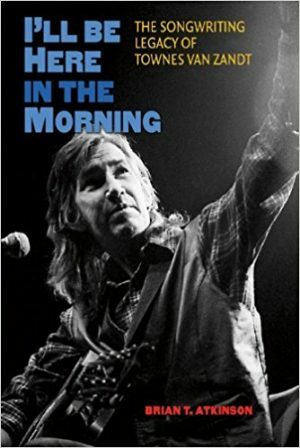 With names like Steve Earle (“Last Gunfighter’s Ballad”), Kris Kristofferson (“Hemingway’s Whiskey”), John Prine and Emmylou Harris (“Magnolia Wind”), Willie Nelson (“Desperadoes Waiting for a Train”), Robert Earl Keen (“Texas 1947”), Terry Allen (“Old Friends”), and Lyle Lovett (“Anyhow I Love You”) at the tip of the iceberg, it’s no wonder Guy Clark is the songwriter revered by all other songwriters. 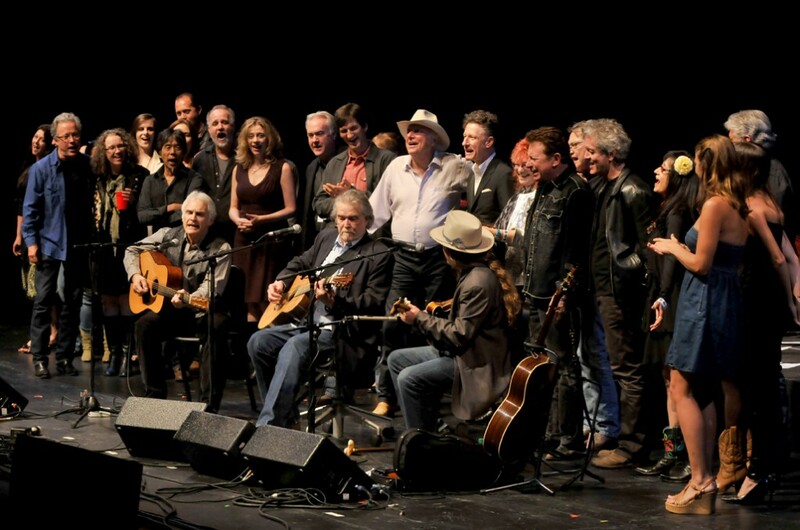 Though each artist was perfectly matched to their song, oozing authenticity and heartfelt appreciation for the music, the most emotionally moving moment came by way of John Townes Van Zandt II, the son of Clark’s late best friend and fellow Texas Troubadour, Townes Van Zandt. Sounding eerily like his father on the dark and moody “Let Him Roll,” it’s chilling to hear Van Zandt narrate a story that could very well be about his namesake; a man whose memory and music are never far from Clark. While the album contains a slew of touching interpretations, artists also did well in capturing Clark’s carefree energy. The standout, with his take on the more recent gem, “Worry B Gone,” is Hayes Carll, who lets it be known that the senior songwriter hasn’t lost his touch. Still providing the world with relevant, fun, cool as can be numbers that ought to earn their place as anthems for this generation, Clark is a true original whose reach and influence on today’s most talented artists is unmatched. 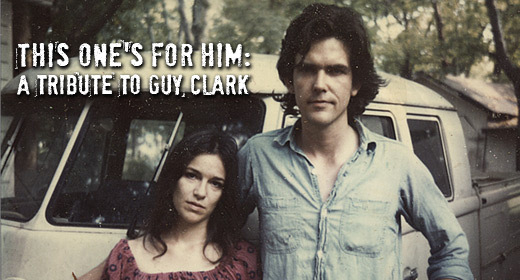 When it comes to the craft, there isn’t anyone quite like Clark: he is the benchmark standard for songwriters. 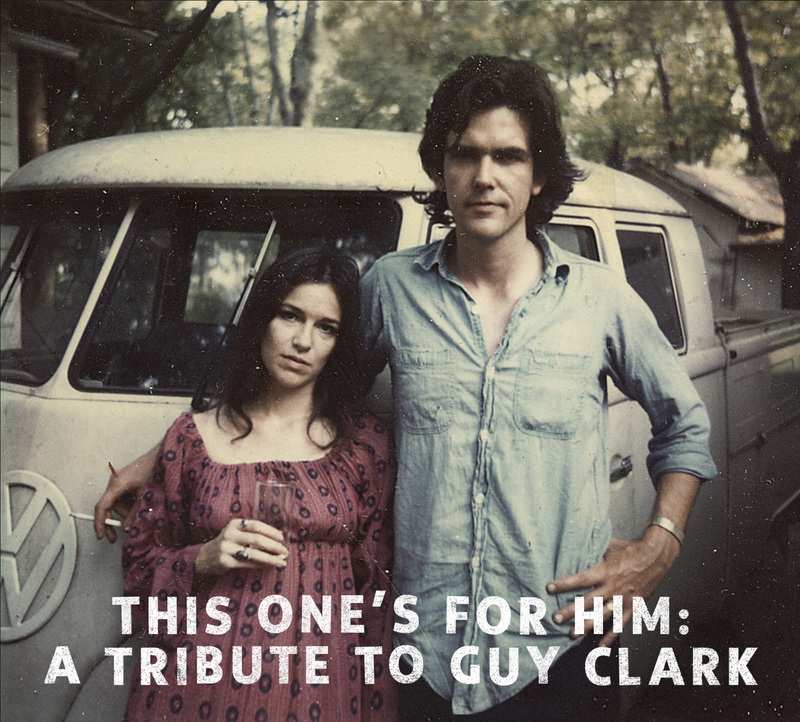 So rather appropriately, This One’s For Him not only lends further evidence that Clark’s work is and will remain timeless, but it may rightfully itself be considered the benchmark standard for tribute albums and a staple in any music aficionado’s collection.